I don’t know about you, but there have been times in my life when I’ve had to give up certain things. No one likes doing this, especially if what you’re giving up is enjoyable stuff! New Year’s resolutions are all about giving up what is not good us in the long-term. It could be too much junk food and not enough exercise, or too much spending and not enough saving. These are all noble and worthwhile resolutions, but there are some things we should never give up. Sometimes, as we go through life, we give up certain habits, traits or behaviours that are good for us and for our careers. 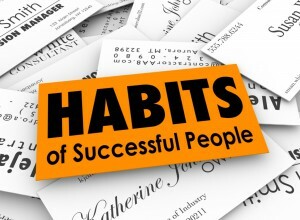 Successful people know the difference between the habits they should no longer hold on to and those they should maintain because they’re vital to their success. So here are some of the habits and traits you should never let go of. I’m yet to meet a child who lacks curiosity — sometimes kids are overly curious about everything — but you do occasionally meet adults who’ve shut down this side of themselves. Curiosity is the basis of innovation. It fuels imagination, which fuels ideas, which translates into success. After all, what is invention but a curiosity about whether something could be done another way? Stay curious and open, and the ideas will follow. Sometimes life gets you down. You may find despite your hard work that the cards don’t fall in your favour. It’s easy to feel defeated at these moments, but remember: you can’t control what happens to you, but you can definitely control your response to it. By the time we have reached mature adulthood, most of us will have suffered a tragedy of some form. But some people remain more positive than others. Aim to be like them because they’re the ones who attract the best people in their life. Getting to the top of your game is a competitive business. 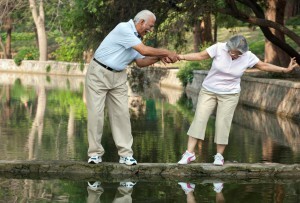 There may be people who try to hold you back in some way, while others will support you and extend a helping hand. Generosity, in my experience, is rarely forgotten. Don’t get caught up in your work to such an extent that you forget to look around to help others. It not only feels good to be generous, but it helps build a support community around you that everyone needs when they’re striving to be the best. So rather than seeing your competition as the enemy, look at ways you can be generous and help each other. It may sound the opposite of what you’ve been taught but, trust me, generous people have excellent reputations and business is entirely a reputation game. It’s so important to know what you stand for in today’s day and age. There are so many paths you can take and so many potential people to work with that you really need a good handle on what your values are. 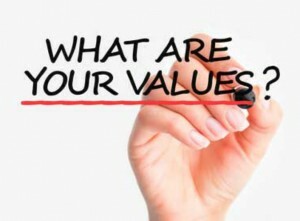 You may feel that you have to compromise on your values at certain times to get ahead. There’s a big difference between regular compromises, which are important, and the kind of compromises that you don’t agree with or aren’t comfortable with. No amount of success is worth that. Finally, it’s important you keep enjoying yourself. Don’t stop being playful or silly, if the occasion calls for it. There’s no point working hard if you don’t take a moment to enjoy the moment, whether that’s with colleagues, family or friends. Seriousness is called for on certain occasions, but so is playfulness and it’s a shame too many adults have lost this ability to tap into that side of themselves. Because sometimes success or the pursuit of it can change certain people. But we need to hang on to the traits and behaviours that not only help us become more successful, but also make us happy. And there’s not nearly enough of that in the world!